Please note that this page is in a very early draft stage. The purpose will be to help us understand and analyze the denier campaign that claims that carbon dioxide (CO2) is not correlated with temperature especially in the deep past, and that the warming we are now experiencing is naturally occurring as opposed to man-made. Not only is global warming, aka climate change, one of the most important issues of our time, it is also one of the most fractious. The POTUS has called climate change a hoax and stepped out of the Paris Agreement against the people’s wishes. Behind him are many sophisticated denial campaigns with fraudulent science claims made by mercenary or paid scientists funded by dark money. The American denial of global warming (video) goes back many decades to the first IPCC report at least which concluded that man-made warming was an issue in 1995. Corporate interests have silenced this science with slick propaganda in order to protect profit margins since the beginning of this debate. Koch Brothers Industries and Exxon Mobile have also funded several climate science denial front groups. One such group is the Heartland Institute which actually argued historically that smoking was good for people to hide the fraud of the tobacco industry. In 2017, Michael Mann, eminent Climate Scientist, and author of the Hockey Stick and the Climate Wars, testified before the House Science Committee hearing on a hung panel of 3 against 1. These well-known deniers included John Christy, Judith Curry, and Roger Pelke. This unbalanced climate change hearing proved pointless largely because the deniers made what appeared to be scientifically valid arguments, even though these arguments were fraudulently falsified, corrupted by profit margins, and dangerously delusional. Curry (video) supplied a plethora of falsified testimony claiming natural variability, increased sea ice, and a coming ice age under oath against Mann along with Christy and Pelke despite the undeniable and overwhelming evidence that warming is happening and that it is man-made. According to RationalWiki “Judith Curry has agreed with Trump’s description of climate change as a ‘hoax’, writing in 2016 that the UN’s definition of man-made climate change ‘qualifies as a hoax’. In short, she’s the Richard Lindzen of the South. Or maybe the Roy Spencer of Georgia, take your pick.” The list of deniers on these matters is a long one. Even as the tide is turning with undeniable climate chaos is mounting, their claims that the Greenhouse Effect is wrong and that global warming is not man-made just keep coming. In denial science propaganda campaigns like The Environment: The True Story (video), or The Global Warmth Blog and many others, Ole Humlum is a contributor of faux science graphs and data interpretations that look very realistic. Humlum, routinely supplies contrarian arguments and even ‘evidence’ for denialism corroborating the bad science of politicians and oil interests. These deniers have has become the experts at testifying that CO2 and temperatures increases are just natural variations and as such have nothing to do with anthropogenic causes despite the well established Greenhouse Effect. They routinely perpetrate the most common climate change myths despite how many times they have been debunked. Let’s review a few of them here. Deniers may also cite that the last inter-glacial period was warmer, and that we are following a similar trend (which will ultimately lead to another ice age). They also claim there is not enough data. For example Judith Curry repeatedly claims in her testimony that we cannot yet understand this science because there are not enough multidecadal data going into the deep past to know this. Curry provides no explanation or acknowledgement of the basics physics behind global warming that has been known for centuries and/or out and out denies it. However, proxy data like ice cores, tree rings, sediment layers and more, clearly supplies the multidecadal information that counters this view completely. “One should therefore consider moving the focus of climate research from CO2 to the nature and significance of natural variation, both related to the sun and other [natural causes]. It is most likely where we will find the main reason for the present (and future) climate change.” This is the crux of his argument. Dr. Humlum’s complete counter arguments can be found at The Hockeyshtick blog. There is no doubt that CO2 is the smoking gun of global warming. We have consistent evidence that CO2 has been increasing in the atmosphere and we know that more heat in the atmosphere means there is more energy in the system. In the most simplified argument anyone can easily see that more energy go into the system than going out, and according to James Hansen PhD (video), this creates a planetary energy imbalance. Additionally, we should note that we tend to focus only on CO2 however there are many interrelated factors working together to produces these effects over time with GHGs as primary drivers. However, deniers often overlook the many factors at work here due to the complexities of how they are interrelated and the physics involved. The tendency to jump to conclusions and oversimplify this science is very strong among politicians, corporate entities, mainstream media journalists, and others who have not studied the big picture complexities inherent in these vast systems. Also, the mathematics behind them is often completely overlooked. According to Tom Yulsman at Discover Magazine “researchers also never contended that CO2 is the sole factor driving climate changes over geologic history. As we’ve seen, however, it plays a key role: Without the CO2 thermostat, Earth would likely be a proverbial snowball.” We tend to focus on CO2 but the picture is actually much more complex. There are also differences in C12/C13 ratio impacts. How Can We Respond to Climate Change Denial? At this point, these false claims masquerading as science represent an ethical failure and malpractice on a social scale never seen before in history. 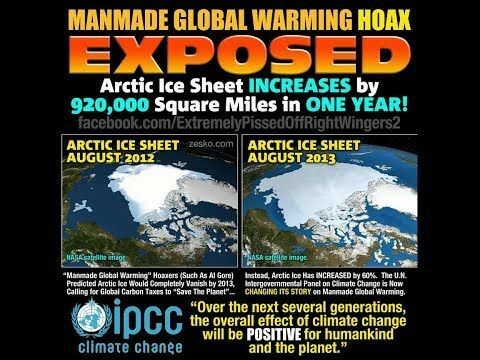 The facts of climate change are indisputable. These bad actors who take no responsibility for the damages their lies cause are literally disputing the indisputable and getting away with murder. Many are calling for lawsuits against these bad actors including NRDC, Climate Kids, and Scientists’ Warning (video). This is not nearly as straightforward as it may ostensibly seem and journalists, large corporations and politicians speaking on these matters are usually not in the know on these matters like scientists. We really have to be careful who we listen to and be prepared with quick responses to deniers. The National Academies of Sciences, Engineering and Medicine are considering a “quick-response capability” to challenge public misinformation about climate science. In his latest book, The End of Ice, Dahr Jamail cites Dr. Harold Wanless, a sea level rise expert who says that for every 100 ppm of CO2 you add to the atmosphere you get a corresponding 100 feet of sea level rise, which means we already have approximately 130 feet of sea level rise locked in. We are in dangerous, uncharted territory and denial is only making matters worse. This issue is black and white as Greta Thunberg says, because if we continue to deny this problem, we won’t continue as a global species. The debate is over. The only question that remains is what will we do about it? 9:00 pm Feb. 7, 2018 – Shani Cairns – (Finalized page write up and content added references). 10:00 pm Feb. 4, 2018 – Shani Cairns – (Added “Debunked: GW Not Man-Made” page with a brief introduction and several section briefs). Note: This page as with many wiki pages is a work in progress. It aims to introduce the reader to the denial science campaign to promote the false notion that global warming is not man-made and also to refute and debunk this claim.